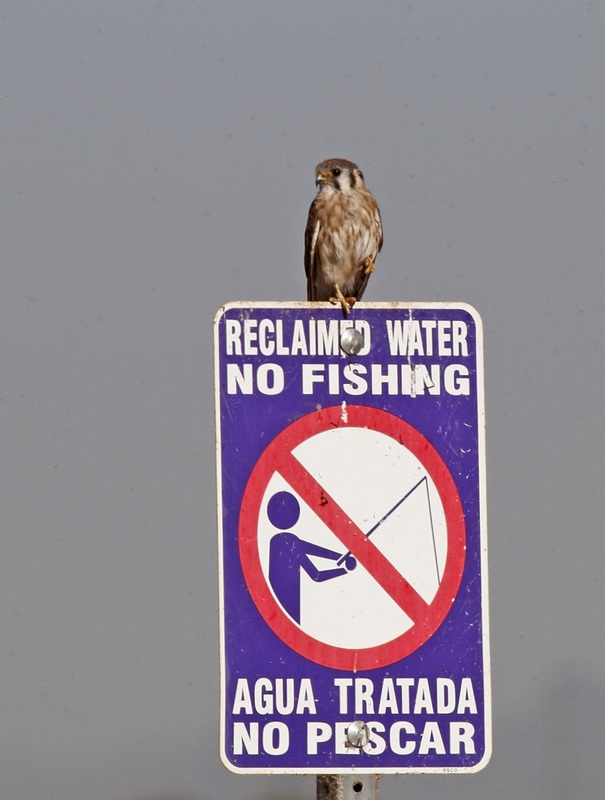 Any good birder knows that where there is water, there are birds. 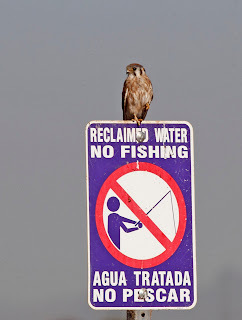 It's easy to get good birds in our area since we have abundant water all around us. Think Delaware River, Schuylkill River, Pennypack Creek, Wissahickon Creek, Atlantic Ocean, many lakes and ponds throughout the area. But what if you are in a place that doesn't have abundant water such as, you know, the desert? Then where do you find birds? That's easy. You go to the waste water treatment plants or water recharge ponds - otherwise known as the "poopy ponds". Western birds flock to the poopy ponds. I first realized this 15 years ago when I went to Dallas on a business trip and hooked up with the local Audubon chapter for a field trip. We went to the waste water treatment plant. I got many life birds. I experienced using binoculars while holding my breath in a few places. I also got to experience sweat in places that I didn't know I had glands. But it was fantastic. The same thing held true on our trip to Phoenix this past week. 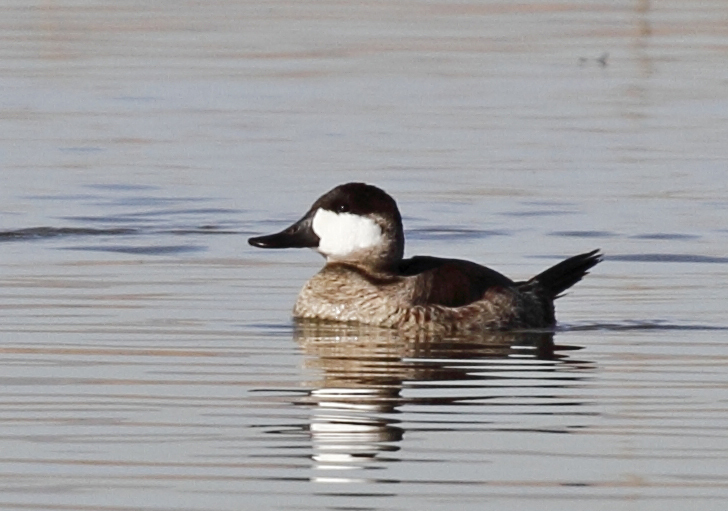 The best birding was at the Glendale Recharge Ponds. Our friend Sarah never heard of it before we arrived, but then did some research that said the location was in the top ten hotspots for Phoenix area. I went twice. I already shared photos from the first trip. Here are some highlights from the second trip when I dragged Connie and Sarah with me. You know that you are at the poopy ponds when you see a sign like this. You also know that you are in the southwest because it is in English and Spanish! This American Kestral obliged us by hunting, perching and preening for about 10 minutes. 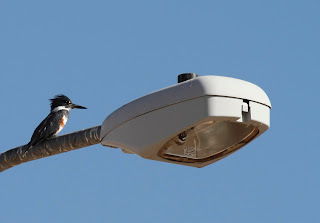 This female Belted Kingfisher was an unexpected treat. You can tell she is female because she has both blue and rust belts across her belly. The male only has the blue one. Think rusty bra to remember it is a female. She perched on this light post above the canal looking for a fishy meal. 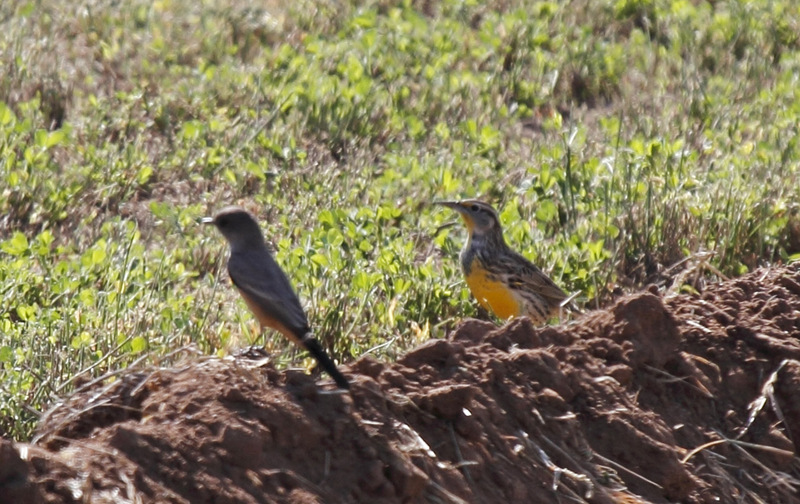 You know you are in the west when you can take a photograph of both Western Meadowlark and Say's Phoebe in the same frame. The Meadowlark is on the right with the bright yellow belly and chin. The Say's Phoebe has a salmon belly that doesn't show up well in this photo but I had to share it with you anyway. The birds are sitting on a plowed field that was just harvested for cotton. There were cotton fields all over the desert. Who knew? Ruddy ducks are some of the cutest little ducks around. We saw over 50 of them on the poopy pond. 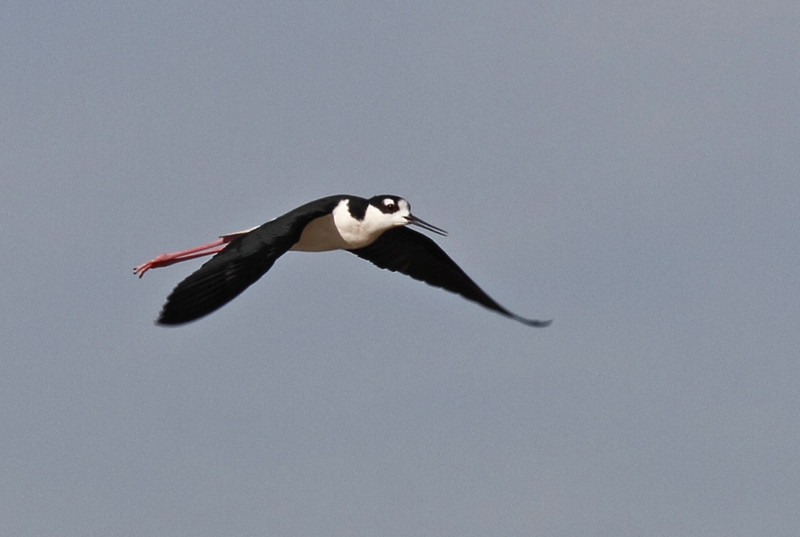 This male is a good representation of the bird's characteristics - big white cheek and stiff little tail. 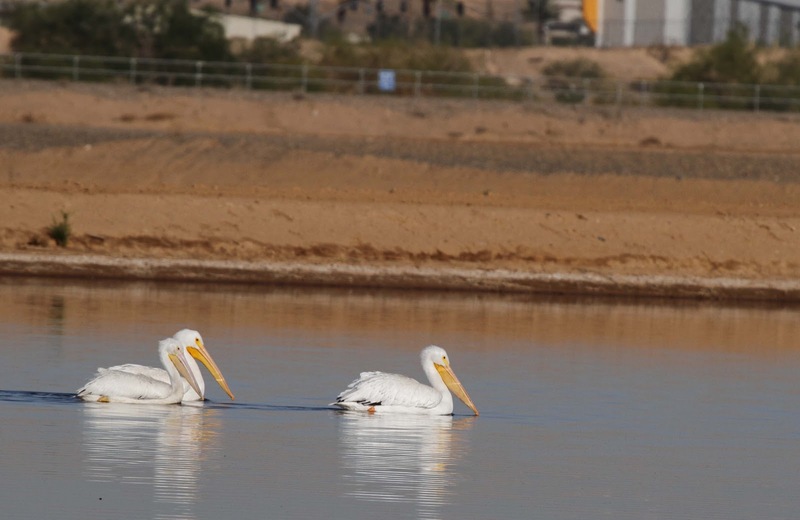 Another surprise at the poopy pond were these 3 American White Pelicans. These birds are HUGE. You can't really tell from this photo, but they are really big. 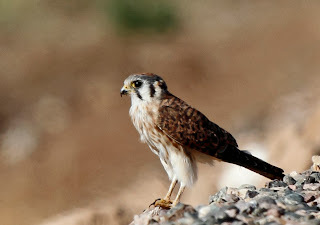 They flew off into the desert soon after we arrived. 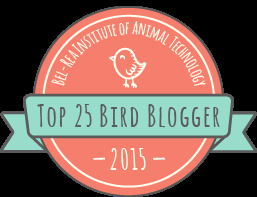 So, once again I am living up to the name - bird nerd. Who else goes to waste water treatment plants on purpose? Who else has the nerve to drag other people with them? Me, that's who. Good poopy post about the poopy ponds. 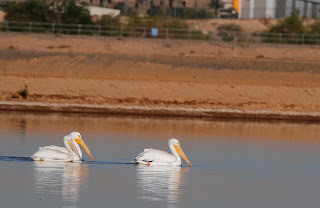 Great to see those white pelicans.